The T-MATE Adder Tables are supplied with one leg, and is typically intended as an add-on to the T-mate Starter Table. Any shared leg configuration requires one Starter Table and all remaining tables can be Adders. 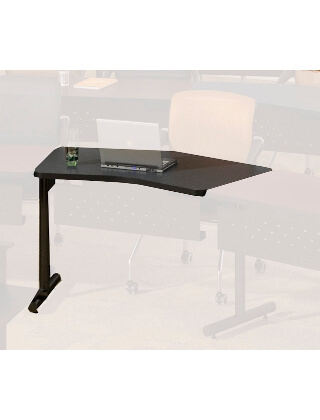 These tables can be connected together by using the ganging accessory. The overall table height is 29".